Add a nice touch to your kitchen decor with the warmth of natural bamboo. 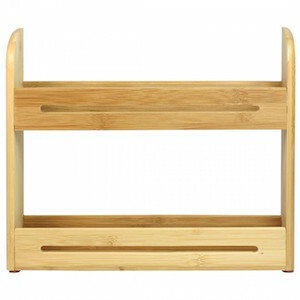 Our natural bamboo spice rack will look great in your kitchen while also giving you a place to store all of your favorite spices. This eco-friendly spice rack is going to be the perfect addition to your kitchen. Dimensions: 12" x 2-3/4" x 10-1/4".